Asus launched its Zenfone 3 on 17th August in India. Zenfone 3 comes in two variants, one with 5.2 inch display, 3GB RAM and 32GB internal storage and the other with 5.5 inch display, 4GB RAM and 64GB internal storage. The phone is available on Flipkart at a price of Rs. 21,999 and Rs. 27,999 respectively for the two variants. Let us take a look at the Pros & Cons and Common Queries about the Asus Zenfone 3, 4GB variant. 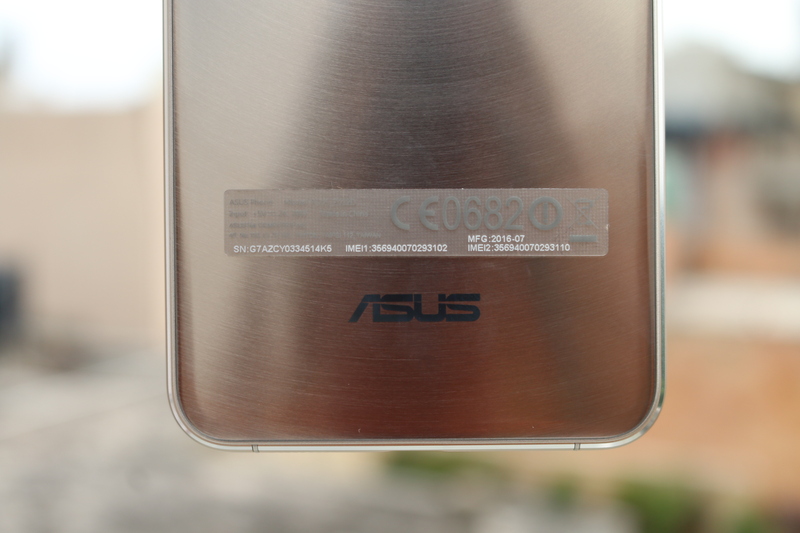 Answer – The Asus Zenfone 3 has a premium build with aluminum back and metal frame on the sides. 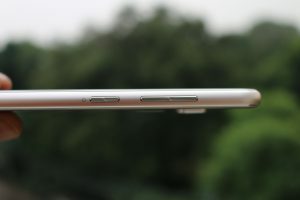 It has a 2.5 D corning gorilla glass on the front and rear. 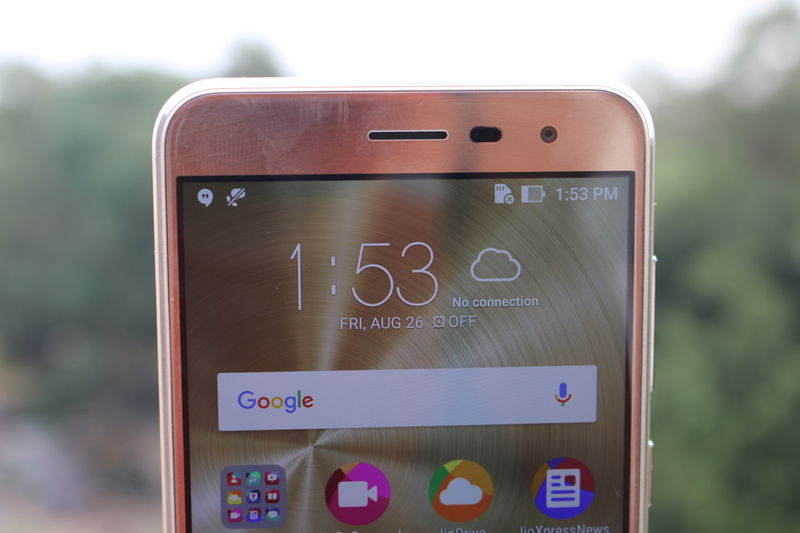 It has a 5.5 inch display with 77.3 % screen to body ratio. Answer – Zenfone 3 (4GB variant) features a 5.5 inch Super IPS+ display with Corning Gorilla Glass 3 on the top. The screen resolution is 1080 x 1920 pixels (Full HD) and pixel density is 401 ppi. Moreover, it comes with 500 nits brightness and bluelight filter for eye care. Answer – Zenfone 3 is powered by a 2.0 GHz Octa-core processor with Qualcomm MSM8953 Snapdragon 625 chipset. It comes in two variants, one with 3 GB RAM / 32 GB ROM and the other with 4 GB RAM / 64 GB ROM. 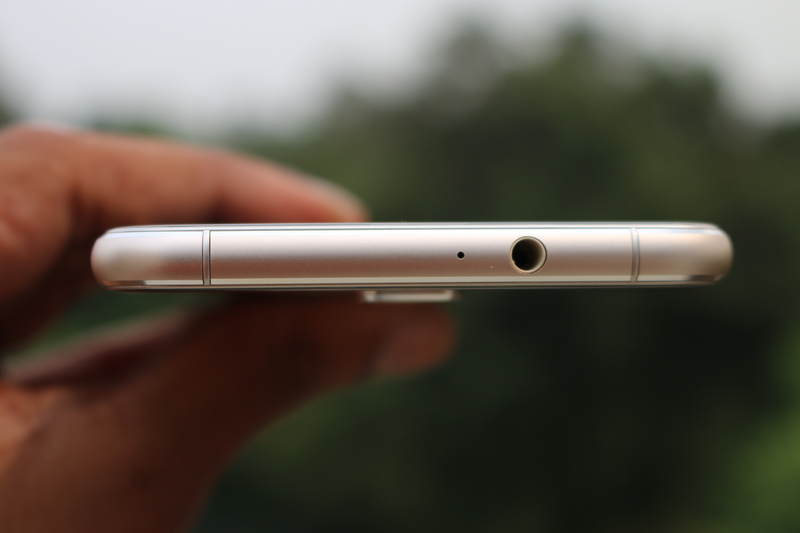 The internal memory is expandable up to 256 GB via microSD card. Answer – Zenfone 3 is equipped with a 16 megapixel rear camera with Sony IMX298 sensor, 6 element lens, OIS, EIS, f/2.0 aperture and 0.03s auto-focus. It features Geo-tagging, face detection, panorama and HDR. It supports 4K UHD video recording. On the front, it has a 8 MP shooter with f/2.0 aperture. 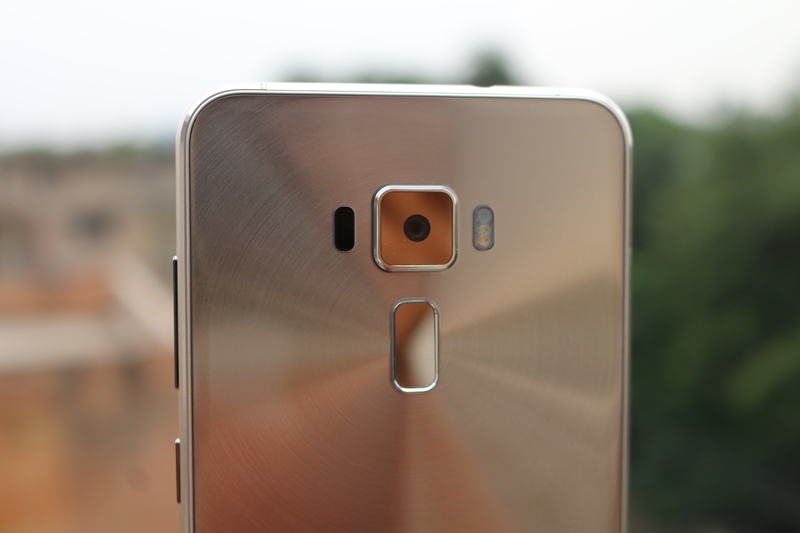 Question- How is the camera performance on Zenfone 3? Answer – Camera performance is at par with the expectations according to the specifications. Answer – It is backed by a 3000 mAh Li-Ion battery that is non-removable. Answer – Yes it comes with fast charging support. Question – What all do we get in the box ? Answer – Handset, Charger, USB cable, Earphones, Extra buds and User manual. Answer – Yes, it comes in two variants : one with 5.2 inch display, 3GB RAM and 32GB ROM and the other with 5.5 inch display, 4GB RAM and 64GB ROM. 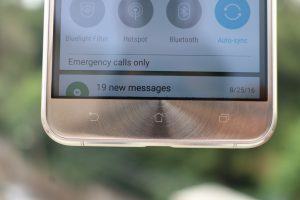 Question- Does Zenfone 3 Have Dual SIM Slots? 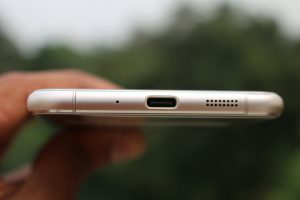 Question- Does the Zenfone 3 Have microSD Expansion option? Answer – Yes, up to 256 GB. Answer – No, it has a hybrid SIM slot. 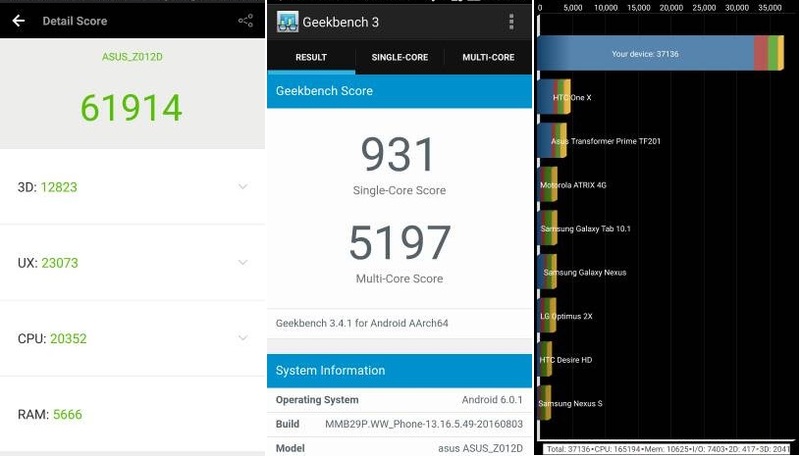 Answer – It runs on Android 6.0.1 Marshmallow with ZenUI 3.0 on the top. Answer – No, navigation keys are not backlit. Answer – Wi-Fi 802.11 a/b/g/n/ac, Wi-Fi Direct, Bluetooth v 4.2, GPS with A-GPS and GLONASS, Infrared port, USBv2.0 and Type-C 1.0 reversible connector. Answer – Sensors on board include Fingerprint sensor, accelerometer, gyro sensor, proximity&ambient light sensor and compass. Answer– 2.4GB of RAM is free on the first boot out of 4GB. Answer– Out of 64GB, 53.14GB is free on first boot. Question- What are the benchmark scores of Zenfone 3? 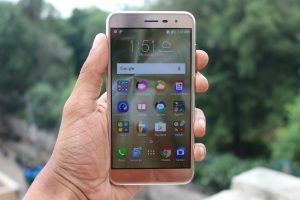 Question- How much does Zenfone 3 weigh? Answer – No you cannot move apps to SD card. Answer – It does not come with pre-installed themes but you can install third party themes from the play store. Answer- The call quality on Zenfone 3 is very good. 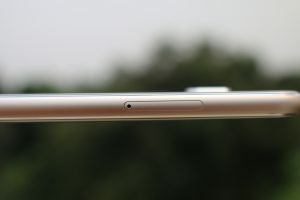 I was impressed with the type of voice clarity and connectivity it offered. Question- What Color Variants are Available for Zenfone 3? Answer – It is launched in black, white and gold colors, but at the time of writing this article it is available in only two colors that are black and gold. Answer – Yes, it comes with Flipkart exchange offer with up to Rs. 15,000 off on exchange and no cost EMI offers. Answer- Gaming on this phone is smooth. I played Asphalt 8 and Modern Combat 5 regularly for hours and tried to find some issue with the gaming performance. But in the end I have no complaints regarding the gaming performance on this device. Answer – No it does not have heating issues initially but we’ll keep testing it and come up with our final verdict in the full review. Answer- It is available on Flipkart. 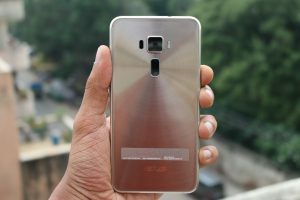 Asus Zenfone 3 is priced at Rs. 27,999. At this price it will compete with phones like Oneplus 3 in the same price segment and phones like LeEco Le Max 2 which comes at a lower price. 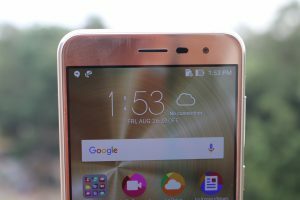 Overall, the Asus Zenfone 3 is priced a little high as compared to the specifications it offers. But still due to the premium build, good display, good brand value, and a better marketing strategy and offers, it will surely give the other competitors a run for money.